Addiction medicine is a medical subspecialty, formally recognized since 1990, concerned with the prevention, evaluation, diagnosis, treatment, and recovery of persons with the disease of addiction, of those with substance-related health conditions, and of people who show unhealthy use of substances, including nicotine, alcohol, prescription medications, and other licit and illicit drugs. In 2016, the American Board of Medical Specialties (ABMS), officially recognized addiction medicine as a medical subspecialty under the American Board of Preventive Medicine. This action emphasized the importance of addiction medicine as a distinct subspecialty among other subspecialties in the field of medicine. How does ASAM define addiction? Addiction is characterized by an inability to consistently abstain or reduce substance use, impairment in behavioral control, craving, tolerance, and interference with interpersonal relationships, occupational responsibilities, recreational activities, and emotional response. Like other chronic diseases, addiction often involves cycles of relapse and remission. Without treatment or engagement in recovery activities, addiction is progressive and will often result in disability or premature death. For more on this definition visit ASAM. Who would benefit from seeing an addiction medicine physician? Addiction medicine specialists have extensive experience and advanced training in the field of Addiction medicine to evaluate, diagnose, and treat people who are struggling with substance use disorders. Their advanced training helps them conceptualize and understand the genetic and biopsychosocial and spiritual manifestations of addiction and tailor treatments for patients. Addiction medicine physicians also have advanced training in medication treatment for substance use disorders, such as opioid use disorder, alcohol use disorder, and tobacco use disorder. Addiction medicine physicians also generally have a greater understanding of the intersectionality between substance use disorder and social and structural determinants of health. Many of the patients we treat have been harmed by policies and practices that stigmatize and shame patients who have struggled with substance use disorders. Addiction medicine physicians can be powerful advocates for their patients and help drive public policy in a way that promotes wellness among our patients and society. 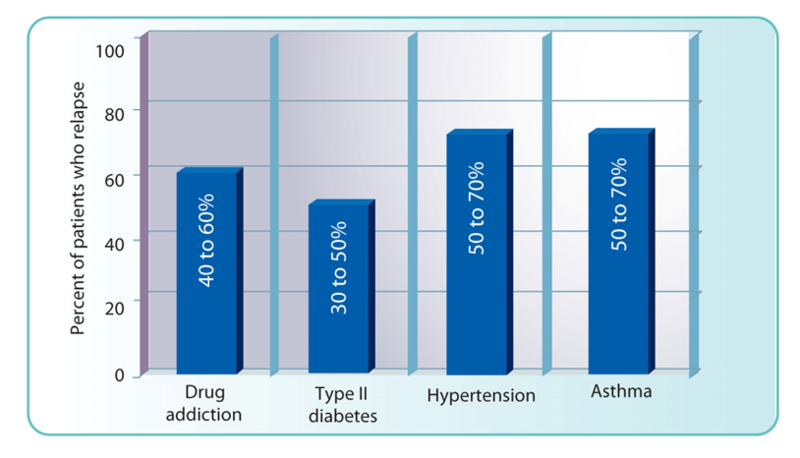 The problem of substance use disorder, however, has exceeded the workforce of addiction medicine physicians in the United States. This makes it essential that medical providers obtain more education in the field of addiction and work collaboratively in their practices with addiction medicine specialists, similar to other specialities, such as cardiology and endocrinology. What types of addictions can be treated with addiction medicine? Addiction medicine physicians treat a wide variety of addictions and substance use disorders (SUD) and some specialize in certain types of addiction, similar to the way that certain cardiologists are interventional cardiologists and others specialize in heart failure. Addiction can involve behavioral addictions and substance use disorders. This answer will focus on the most common substance use disorders that are treated by addiction medicine specialists which are tobacco use disorder, alcohol use disorder, and opioid use disorder. For tobacco use disorder, an addiction medicine physician first diagnoses the problem, evaluates the severity, and then offers treatments. The typical starting place for the treatment of tobacco use disorder involves motivational interviewing to help the patient establish his or her own treatment goals. For alcohol use disorder, an addiction medicine physician first diagnoses the problem, evaluates the severity, and then offers treatments. With alcohol use disorder, it’s critical to determine if the patient first needs acute medical stabilization and withdrawal services, otherwise known as “detox”. If that is the case, the provider can help arrange those services in an inpatient, monitored setting, if necessary. After the person has safely completed medical detoxification, he or she can start to plan for next therapeutic steps. Medications are quite effective for the treatment of alcohol use disorder and should be offered to patients. Other treatments include group and individual therapy and mutual support, like Alcoholics Anonymous or Smart Recovery. Some patients do not desire these treatments, however, and education on topics such as naloxone overdose prevention and safe injection practice among other interventions can reduce a patient’s use of opioids and prevent death. Patients may also benefit from peer recovery assistance, mutual support from groups, such as Narcotics Anonymous or Heroin Anonymous, or Smart Recovery, and formal addiction treatment. What are the different types of treatment available for substance use disorders? There are a variety of addiction treatment options for people who have a substance use disorder. The appropriate treatment is based on several factors that are assessed in the ASAM criteria. The ASAM criteria is a holistic approach for determining individualized and outcome-driven treatment plans for patients. The ASAM criteria consists of six dimensions that help practitioners with their assessment of the patient, determine patient goals, rank and rate the patient’s risks, and determine the intensity and frequency of services needed. Different types of treatment include mutual support groups, outpatient treatment, intensive outpatient treatment, inpatient treatment, continuing care, and medical stabilization and substance withdrawal management. Medication treatments can and should be integrated into any of the various levels of care. What does success, recovery, and remission look like? Traditionally, “success” has meant abstinence from any substance use or behavior; however, as our understanding of addiction as a chronic disease of the brain evolves, it is recognized that rates of relapse are about the same for addiction as for other chronic diseases. Success should be defined by the patient and the provider together, with the key goal being increased functionality in the patient’s life. Abstinence may be a goal for some, while others may pursue decreased use or safer use. Framing treatment in a harm reduction framework allows for flexibility in goals for patients. McLellan, Lewis, O’Brien & Kleber (2000) JAMA, 284: 1689-1695. Recovery is defined by ASAM as a process of sustained action that addresses the biological, psychological, social and spiritual disturbances inherent in addiction. Recovery aims to improve the quality of life by seeking balance and healing in all aspects of health and wellness, while addressing an individual’s consistent pursuit of abstinence, impairment in behavioral control, dealing with cravings, recognizing problems in one’s behaviors and interpersonal relationships, and dealing more effectively with emotional responses. An individual’s recovery actions lead to reversal of negative, self-defeating internal processes and behaviors, allowing healing of relationships with self and others. The concepts of acceptance and surrender are also useful in this process. Since some prescribed and non-prescribed medications can interfere with recovery, it would be prudent to consult with an addiction medicine physician in selected cases. Remission is defined by ASAM as a state of wellness where there is an abatement of signs and symptoms that characterize active addiction. Many individuals in a state of remission remain actively engaged in the process of recovery. Reduction in signs or symptoms constitutes improvement in a disease state, but remission involves a return to a level of functioning that is free of active symptoms and/or is marked by stability in the chronic signs and symptoms that characterize active addiction. Is treatment through addiction medicine covered by health insurance? Treatment for addiction is covered by health insurance as mandated by the mental health parity law. All insurance companies provide different levels of coverage, though, so patients need to ask their insurance provider for their specific coverage. Unfortunately, many insurance companies may require prior authorizations (PAs) for treatment. New York State, along with NYSAM, is working to decrease the number of PAs required for addiction treatment. How do you find an addiction medicine physician? There are a variety of options available to those who which to explore substance use disorder treatment options with a trained addiction medicine physician. What training does an addiction medicine physician receive? Addiction medicine specialists are physicians (MDs or DOs) who have graduated from medical school and completed residency in a primary medical specialty, such as Internal Medicine, Family Medicine, Obstetrics and Gynecology, Surgery, or Emergency Medicine. In addition to their experience in their primary medical specialty, they have additional training and clinical experience in the field of Addiction Medicine. In order to become board certified in Addiction Medicine, they have had to take and pass a board exam administered by the American Board of Preventive Medicine (ABPM), American Board of Addiction Medicine (ABAM), or the American Osteopathic Association (AOA). The board certification process will be changing due to the recognition of Addiction Medicine as a subspecialty under the American Board of Medicine Specialties (ABMS). After 2022, only physicians who have completed an addiction medicine fellowship program accredited by the Accreditation Council for Graduate Medical Education (ACGME) will be eligible to take the ABPM addiction medicine board exam. Learn more about the coming change at ASAM. What does FASAM and DFASAM mean? When you see the letters “FASAM” or “DFASAM” after your physician’s name, they mean that he or she is a Fellow or Distinguished Fellow of the American Society of Addiction Medicine (ASAM). These designations mean the physician has been certified by ABAM, ABPM, American Board of Psychiatry and Neurology (ABPN), or another organization acceptable to ASAM, and that the physician has been an ASAM member for at least two consecutive years. Distinguished Fellows have the added distinction of being recognized by their peers for excellence and skill in medical practice, teaching, scholarship, and professional accomplishments. How is addiction medicine changing our national approach to addiction epidemics, such as opioid use disorder? Having Addiction Medicine providers as part of the dialogue with respect to the opioid epidemic changes the focus from a criminal justice perspective to a medical perspective. We cannot incarcerate our way out of the current opioid epidemic. Instead, empowering laypeople to use naloxone to save lives, using medication to treat opioid use disorder, and decreasing stigma towards people who use drugs and persons with a substance use disorder, a part and parcel of addiction medicine, will increase public understanding and empathy towards those struggling with opioid use disorder.